Posters must be submitted by each district to the local TAPT affiliate chapter no later than the April 2019 meeting to be voted on. 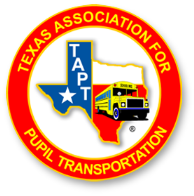 First place posters in each division from the local TAPT affiliate chapter will be sent to the TAPT School Bus Safety Poster Contest Chairperson, Sherri Lawson, no later than May 15, 2019 for entry into the state level of competition. 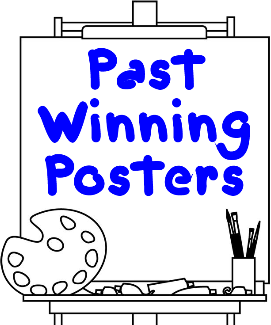 Posters can be drawn any time between September 2018 and March 2019, up to the deadline to submit an entry. Posters must be delivered to your local TAPT affiliate chapter no later than the April 2019 meeting to be voted on. 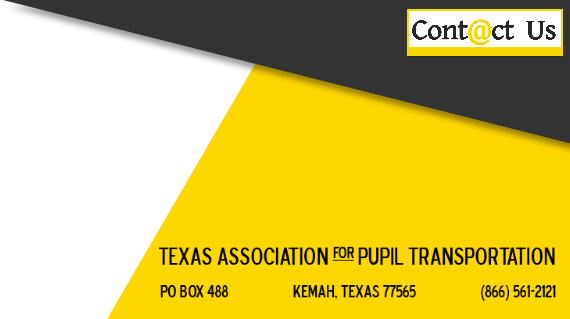 The state level contest will be conducted in conjunction with the 2019 TAPT Conference and Trade show in Dallas, June 2019. Winner selected at the state level will be posted at www.tapt.com after July 1, 2019. First place winning posters from the state level contest will be sent to the National Association for Pupil Transportation (NAPT) Headquarters by October 1, 2019 for entry into the national contest.